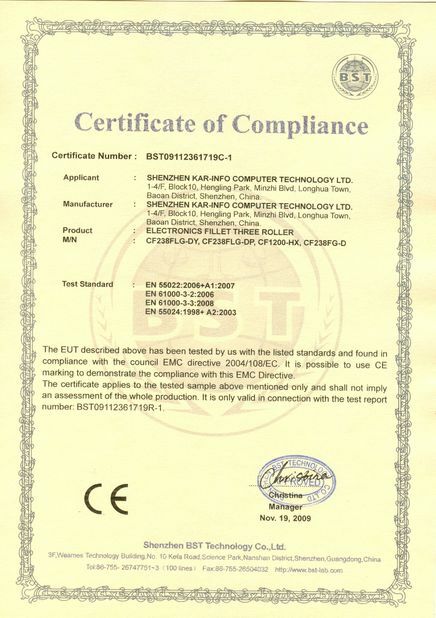 Quality Control - Shenzhen Jiaxuntong Computer Technology Co., Ltd.
Jiaxuntong has a great team group and they are professional in mechanism&drive board designing, developing and manufacturing. 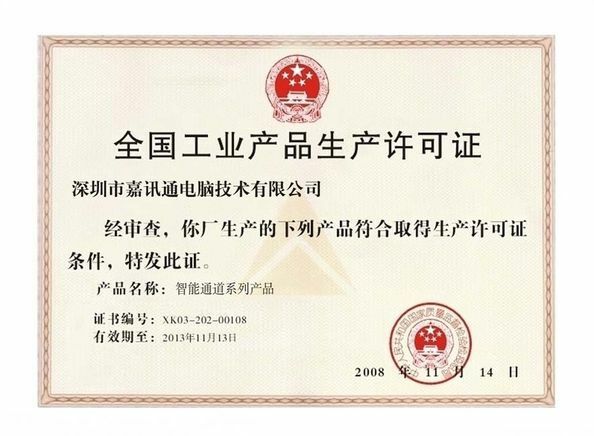 We have high precision manufacturing facilities, such as CNC bending machine,CNC shearing machine，CNC lathes,Automatic laser welder machine etc,We are professional in high-end channel turnstiles,OEM&ODM is available. Our advanced facilities allow us to implement a one-stop system for manufacturing and quality assurance over the course of the entire production cycle. 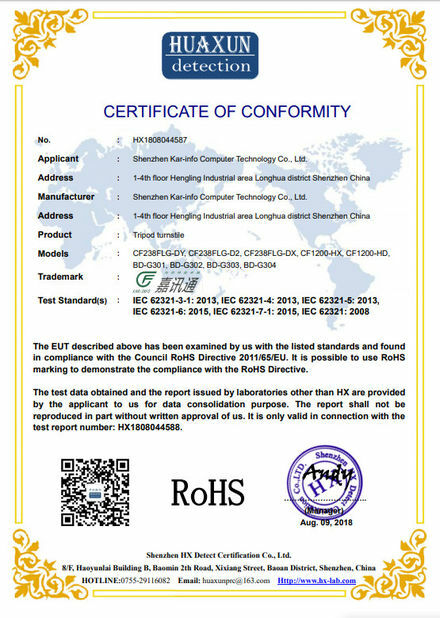 In addition, we utilize advanced testing equipment and various testing methods in all production processes, from incoming material inspection, through each production process, to finished product detection and testing. 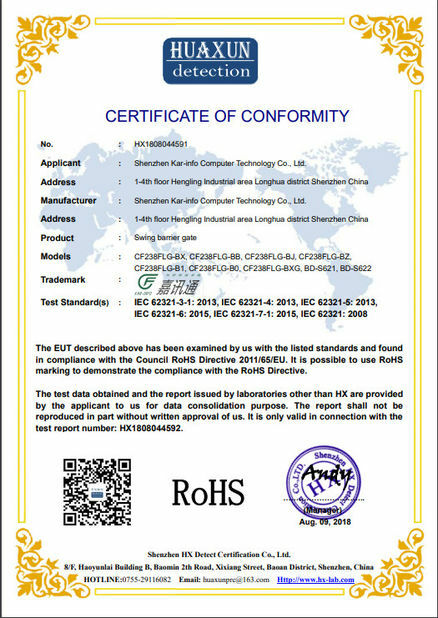 The product manufacturing and testing are conducted in rigorous conformation with ISO international quality management system standards, allowing our company to be ISO certified. 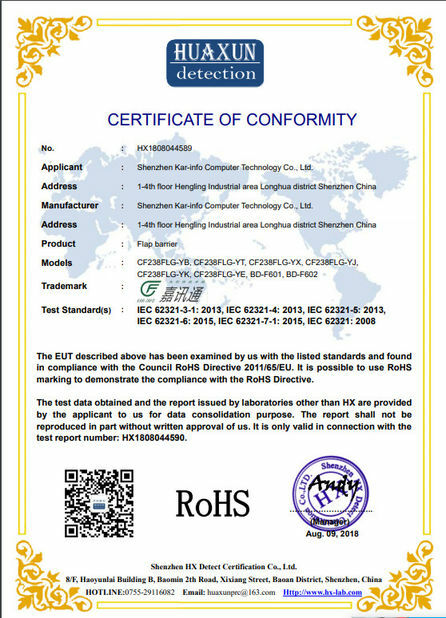 Meanwhile, our products have earned CE marking. 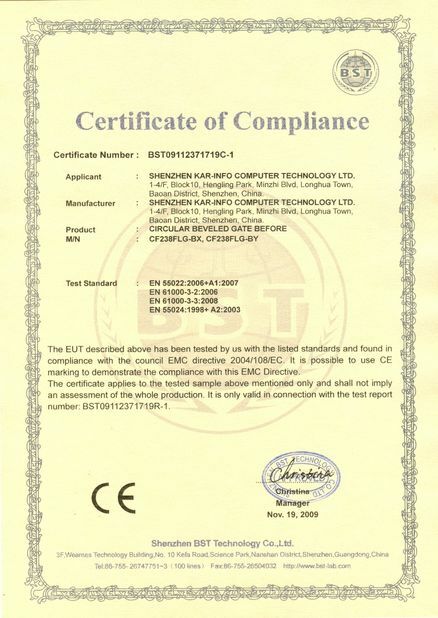 Issued By:Shenzhen HX Detect Certification Co., Ltd.